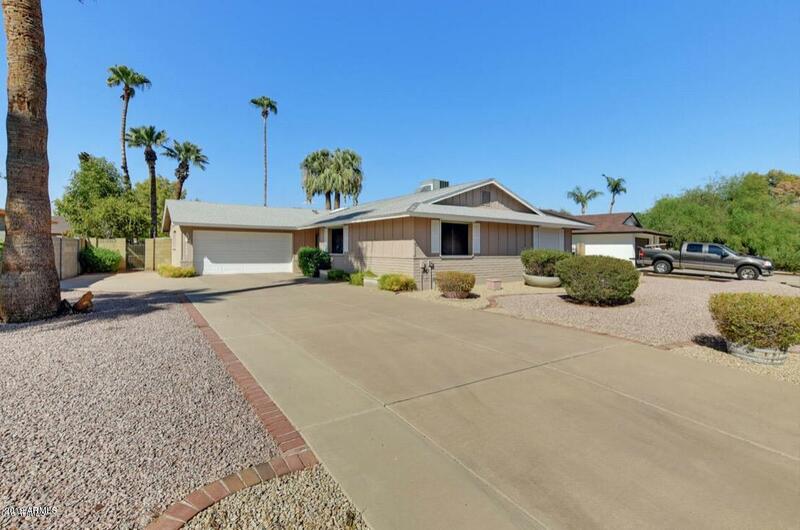 THIS HOME IS FOR YOU AS THIS BEAUTIFUL REMODELED AND UPDATED HOME IS LOCATED IN A WELL DESIRED AREA NEAR CENTRAL PHOENIX. THIS BEAUTY HAS IT ALL WITH 3 BEDROOMS 2 BATHROOMS, VERY OPEN FLOOR PLAN, COZY FAMILY ROOM WITH A BRICK FIREPLACE, BEAUTIFUL KITCHEN WITH LOTS OF STORAGE AND CABINET SPACE, GRANITE COUNTER TOPS, ELEVATED DINING ROOM, HUGE LIVING ROOM, BEDROOMS ARE A VERY GOOD SIZE WITH VERY NICE FLOORING THROUGHOUT. THERE ARE ALSO MECHANICAL SHADES ON ALL THE WINDOWS AND THIS HOME HAS PLENTY OF ROOM FOR ALL YOUR TOYS. NO HOA IN THIS NEIGHBORHOOD. NOT TO MENTION THIS BEAUTY IS CLOSE TO THE FREEWAY, MALLS, RESTAURANTS AND SO MUCH MORE! CALL US NOW TO SET UP AN APPOINTMENT TO VIEW IT.